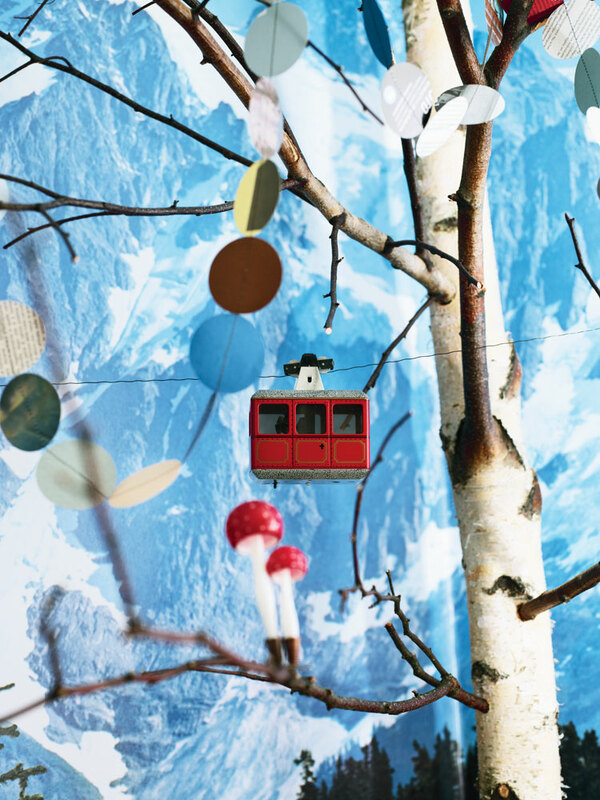 Get the Mountain Morning wallpaper from Uppsala Fototapet. The little sleeping cove can be made from wood panels painted in Flugger's S-0500. Buy Sultan mattresses etc. from IKEA. The pink coloured sheet is from H&M home. All aboard the mountain express! If you want to go all out..... buy the Mountain Morning WG 211 wallpaper from Uppsala Fototapet (as before). This is a real Silver birch tree - if they're in abundance in your area and you're allowed, put on that tartan lumber-jack shirt....Source a vintage Kovak cable car on e-bay. 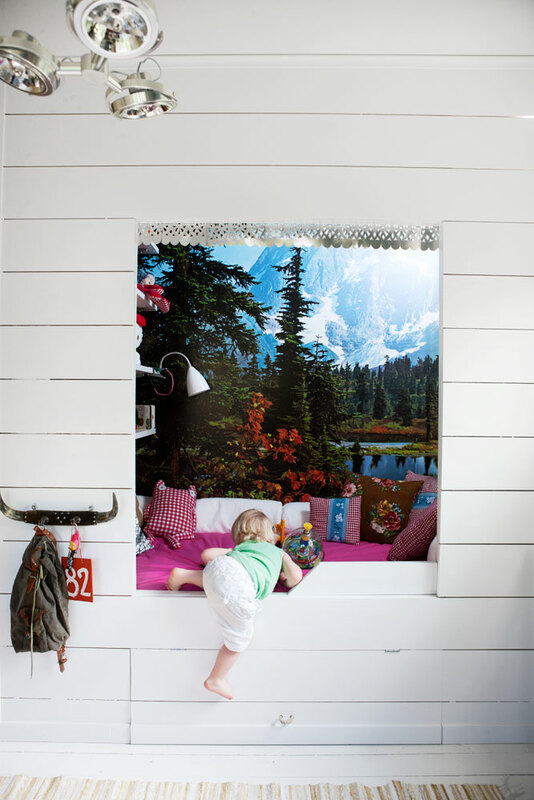 You can find more information on this mountain themed children's bedroom here. It looks great fun, but I'm not sure if I'd dare. Would you?! Beautiful! Thank you for an inspiring blog! Thank you Line, so happy to hear you like it!